Stonetalon Mountains 20-60K LIV WoW Gold Farming Video Guide! | MetaWoW Stonetalon Mountains 20-60K LIV WoW Gold Farming Video Guide! MetaWoW WoW Gold Farming Guides [Transmog Farm] Stonetalon Mountains 20-60K LIV WoW Gold Farming Video Guide! Transmog Farm Stonetalon Mountains 20-60K LIV WoW Gold Farming Video Guide! 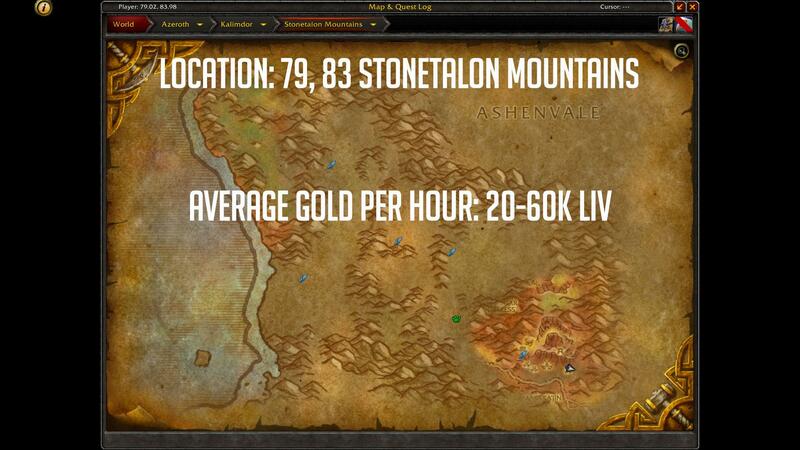 Stonetalon Mountains gives one of the highest LIV per hour in the game and hence is a great spot if you are looking to have many transmog up on the auction house. Note: The transmog items that drop here take longer to sell than most other transmog farm drops, so we advise you to do this for 3-4 hours and come back only after you have sold your loot!